Welcome! We are the members of the Information, Hospitality, and Special Events Subcommittee of the 2016 Conference on College Composition and Communication. As faculty and doctoral students at the University of Houston, we use this site to share information about many aspects of Houston–transportation, events, attractions, restaurants, shopping–for prospective attendees of the 2016 4 Cs. Throughout 2015 and early 2016, we will continue to update this website, so keep us on your radar! Click here to access the main website of the 4 Cs, which contains information about the 2016 conference theme and submissions. Attendees interested in WAC sessions may want to consult this guide, while attendees looking for sessions on topics of concern among many graduate students should consider this brief guide. 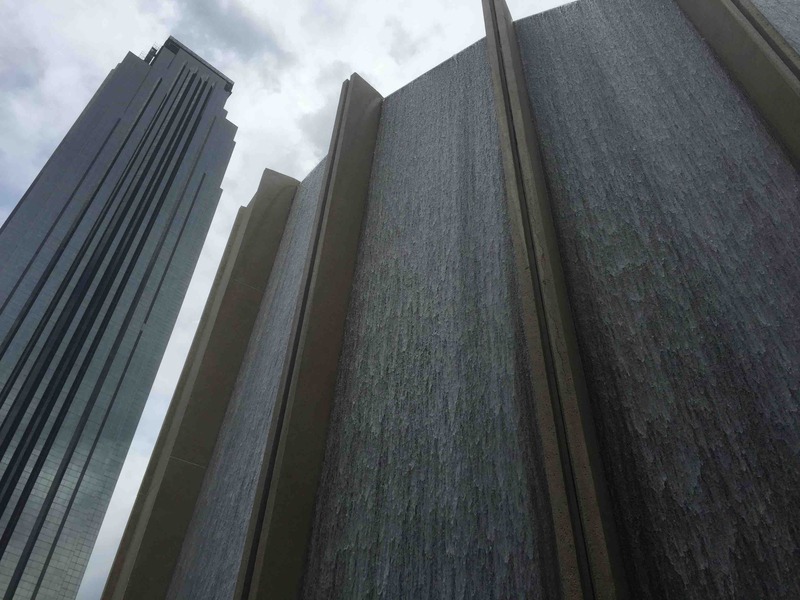 Houston is bound to interest conference attendees who visit briefly and conference attendees who prolong their stay. It is the fourth-largest city and the fifth-largest metropolitan area in the United States, a one-hour drive to the Gulf Coast, a connector of the Deep South and the U.S. Southwest, a city of new immigrants and emerging traditions, and an area with well-deserved nicknames as different as “Space City” and “Bayou City.” Members of the Hospitality Subcommittee look forward to seeing you in this dynamic, multifaceted place in April 2016! I tried to book a hotel room last week at the Hilton. All of the block room were unavailable, and I had to book at the regular rate. I don’t think I can afford $305 a night for four nights. Is there a chance they will be releasing more rooms at the conference rate? Thank you for your query, Alli. An NCTE official informed me that we don’t plan to open more rooms. If affordable downtown hotels are booked up, consider hotels near the Houston METRO’s (light rail) red line. I myself plan to ride the light rail into and out of downtown during conference days. Getting off the red line at the Main Street Square Station and walking southeast for six blocks along Lamar Street should take you straight to the Hilton Americas-Houston, the George R. Brown Convention Center, and Discovery Green. The cost for a one-way METRO ticket is $1.25; one may pay at a kiosk at any METRORail station. I hope this helps! I will be attending and presenting at the conference. I just got funds from school. Can you guys give recs for hotels and transportation close to the conference (I’ve missed the conf. rate for the hotels)?… Any help would be greatly appreciated! Hi, Keisha. Thanks for the query. I’m happy to announce that we’ve just created a page for this: https://4chouston.com/lodging-options/. You can also access this info. by scrolling down on https://4chouston.com/area-lodging/. Hope this helps! Hi. My wife and I will be bringing our 13-year-old son for the conference and want to get to the Johnson Space Center on Saturday. I’ve read conflicting information about public transportation to the Center. Are there any planned C’s-to-JSP trips? Does the public bus still go out there on Saturdays? Also, any “highly recommended” attractions, to-dos, for 13-year-old? Hi, Jeffrey. Thanks for the question. Houston METRO bus 246, Bay Area R&R, and bus 249, Bay Area/Fuqua/Monroe R&R, go from downtown Houston to the Johnson Space Center, but, sadly, not on weekends. The links I provided will give maps and related details. Also, the annual Art Car Parade is coming to downtown Houston on Sat., Apr. 9 (primarily along Smith Street), from 2 to 4 p.m. Click here for the parade route. This is a really neat–quirky–event that even many adults love. If you’re interested in art museums with social commentary, try the Contemporary Arts Museum, accessible from downtown via the red line of the Houston METRORail (get off at the Museum District Station). Also walkable from that stop is the Museum of Fine Arts, the Museum of Natural Science, and the Holocaust Museum Houston. All are open on Saturday, but check their websites for exact hours. 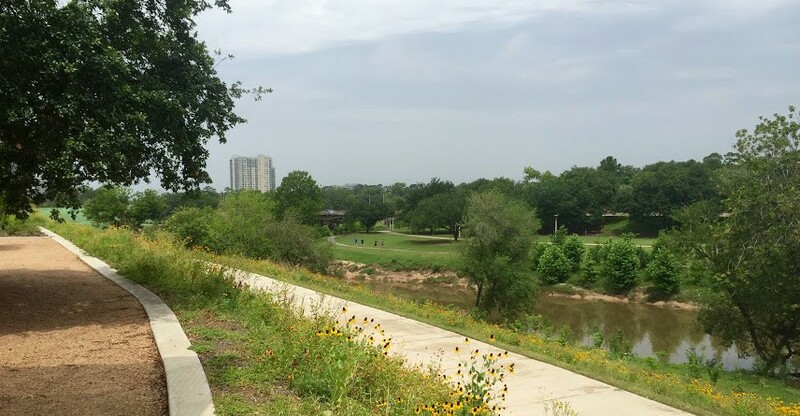 For a different kind of outing, consider kayaking Buffalo Bayou or a similar area. The company that I linked to provides shuttles for its customers. I hope these ideas prove useful!